interacts with diseased vessels and we design new vascular-protective immunointervention strategies. Our research program relies on specific skills and tools: experimental animal models, tissue biobank, (immuno-)histology, and up-to-date flow cytometry core. Targeted the neutrophils and their molecular effectors in stroke. To discover new cellular and molecular pathways leading to aortic valve calcification. Caligiuri G, Nicoletti A. 2012. “Use of CD31 peptides in the treatment of atherothrombosis and autoimmune disorders”. PCT/EP2009058188 / WO 2010/000741 A1. Caligiuri G, Nicoletti A. 2012. “Improved CD31 peptides”. PCT/EP2013/062806 / WO2013190014 A1. Caligiuri G, Nicoletti A. 2015. “Detection of shed CD31, diagnosis of atherothrombosis and autoimmune disorders, and methods for analyzing signaling pathways”. PCT/EPT2009/58220 / WO 2010/000756 A1. Caligiuri G, Nicoletti A. 2015. “Detection of platelet-derived shed CD31”. PCT/EP2013/055489 / WO2013152919 A1. Caligiuri G, Nicoletti A, Le Guludec D, Bay S. 2016. “CD31shed as a molecular target for imaging of inflammation”. EP16305516. Caligiuri G, Nicoletti A, Michel JB. 2016. “CD31shed agonists for use in the prevention and/or treatment of reperfusion injury”. EP16305311. Delbosc S, Bayles R, Laschet J, Ollivier V, Ho-Tin-Noé B, Touat Z, Deschildre C, Morvan M, Louedec L, Gouya L, Guedj K, Nicoletti A, Michel J-B. In press. Erythrocyte efferocytosis by the arterial wall promotes oxidation in early-stage atheroma in humans. Frontiers in Cardiovascular Medecine. Bosseau C, Lelong B, Pattier S, Trochu J-N, Roussel J-C, Sirinelli A, Aupart M, Chabanne C, Dorent R, Cantrelle C, Mabo P, Leclercq C, Verhoye J-P, Flécher E. 2017. Heart transplantation in selected patients aged 60 years and older: a two-decade retrospective and multicentre analysis. European Journal of Cardio-Thoracic Surgery 51:893–901. Caroff J, Benachour N, Ikka L, Nevoux J, Parker F, Da Ros V, Mihalea C, Iacobucci M, Moret J, Spelle L. 2017. 3D-guided direct puncture therapeutic embolization of intracranial tumors. Journal of Neurointerventional Surgery. Caroff J, Mihalea C, Da Ros V, Yagi T, Iacobucci M, Ikka L, Moret J, Spelle L. 2017. A computational fluid dynamics (CFD) study of WEB-treated aneurysms: Can CFD predict WEB “compression” during follow-up? Journal of Neuroradiology. Cenzato M, Boccardi E, Beghi E, Vajkoczy P, Szikora I, Motti E, Regli L, Raabe A, Eliava S, Gruber A, Meling TR, Niemela M, Pasqualin A, Golanov A, Karlsson B, Kemeny A, Liscak R, Lippitz B, Radatz M, La Camera A, Chapot R, Islak C, Spelle L, Debernardi A, Agostoni E, Revay M, Morgan MK. 2017. European consensus conference on unruptured brain AVMs treatment (Supported by EANS, ESMINT, EGKS, and SINCH). Acta Neurochirurgica 159:1059–1064. Desilles J-P, Syvannarath V, Ollivier V, Journé C, Delbosc S, Ducroux C, Boisseau W, Louedec L, Di Meglio L, Loyau S, Jandrot-Perrus M, Potier L, Michel J-B, Mazighi M, Ho-Tin-Noé B. 2017. Exacerbation of Thromboinflammation by Hyperglycemia Precipitates Cerebral Infarct Growth and Hemorrhagic Transformation. Stroke. Haemers P, Hamdi H, Guedj K, Suffee N, Farahmand P, Popovic N, Claus P, LePrince P, Nicoletti A, Jalife J, Wolke C, Lendeckel U, Jaïs P, Willems R, Hatem SN. 2017. Atrial fibrillation is associated with the fibrotic remodelling of adipose tissue in the subepicardium of human and sheep atria. European Heart Journal 38:53–61. Jasseron C, Legeai C, Jacquelinet C, Leprince P, Cantrelle C, Audry B, Porcher R, Bastien O, Dorent R. 2017. Prediction of Waitlist Mortality in Adult Heart Transplant Candidates: The Candidate Risk Score. Transplantation. Nuzzo A, Maggiori L, Ronot M, Becq A, Plessier A, Gault N, Joly F, Castier Y, Vilgrain V, Paugam C, Panis Y, Bouhnik Y, Cazals-Hatem D, Corcos O. 2017. Predictive Factors of Intestinal Necrosis in Acute Mesenteric Ischemia: Prospective Study from an Intestinal Stroke Center. American Journal of Gastroenterology 112:597–605. Rouchaud A, Brinjikji W, Dai D, Ding Y-H, Gunderson T, Schroeder D, Spelle L, Kallmes DF, Kadirvel R. 2017. Autologous adipose-derived mesenchymal stem cells improve healing of coiled experimental saccular aneurysms: an angiographic and histopathological study. Journal of Neurointerventional Surgery. Terzian Z, Gasser TC, Blackwell F, Hyafil F, Louedec L, Deschildre C, Ghodbane W, Dorent R, Nicoletti A, Morvan M, Nejjari M, Feldman L, Pavon-Djavid G, Michel J-B. 2017. Peristrut microhemorrhages: a possible cause of in-stent neoatherosclerosis? Cardiovascular Pathology 26:30–38. Vindrios W, Argy N, Le Gal S, Lescure F-X, Massias L, Le MP, Wolff M, Yazdanpanah Y, Nevez G, Houze S, Dorent R, Lucet J-C. 2017. Outbreak of Pneumocystis jirovecii Infection among Heart Transplant Recipients: Molecular Investigation and Management of an Inter-human Transmission. Clinical Infectious Diseases. Caroff J, Mihalea C, Tuilier T, Barreau X, Cognard C, Desal H, Pierot L, Arnoux A, Moret J, Spelle L. 2016. Occlusion assessment of intracranial aneurysms treated with the WEB device. Neuroradiology 58:887–891. Chamieh F, Collignon AM, Coyac BR, Lesieur J, Ribes S, Sadoine J, Llorens A, Nicoletti A, Letourneur D, Colombier ML, Nazhat SN, Bouchard P, Chaussain C, Rochefort GY. 2016. Accelerated craniofacial bone regeneration through dense collagen gel scaffolds seeded with dental pulp stem cells. Sci Rep 6:38814. Clement M, Galy A, Bruneval P, Morvan M, Hyafil F, Benali K, Pasi N, Deschamps L, Pellenc Q, Papo T, Nicoletti A, Sacre K. 2016. Tertiary lymphoid organs in Takayasu Arteritis. Frontiers in Immunology 7. Cuerda C, Joly F, Corcos O, Concejo J, Puiggrós C, Gil C, Pironi L, Group H-CE. 2016. Prospective study of catheter-related central vein thrombosis in home parenteral nutrition patients with benign disease using serial venous Doppler ultrasound. Clinical Nutrition 35:153–157. Delbosc S, Rouer M, Alsac J-M, Louedec L, Al Shoukr F, Rouzet F, Michel J-B, Meilhac O. 2016. High-density lipoprotein therapy inhibits Porphyromonas gingivalis-induced abdominal aortic aneurysm progression. Thrombosis and Haemostasis 115:789–799. Delbosc S, Rouer M, Alsac J-M, Louedec L, Philippe M, Meilhac O, Whatling C, Michel J-B. 2016. Elastase inhibitor AZD9668 treatment prevented progression of experimental abdominal aortic aneurysms. Journal of Vascular Surgery 63:486–492.e1. Gorin C, Rochefort GY, Bascetin R, Ying H, Lesieur J, Sadoine J, Beckouche N, Berndt S, Novais A, Lesage M, Hosten B, Vercellino L, Merlet P, Le-Denmat D, Marchiol C, Letourneur D, Nicoletti A, Vital SO, Poliard A, Salmon B, Muller L, Chaussain C, Germain S. 2016. Priming Dental Pulp Stem Cells With Fibroblast Growth Factor-2 Increases Angiogenesis of Implanted Tissue-Engineered Constructs Through Hepatocyte Growth Factor and Vascular Endothelial Growth Factor Secretion. Stem Cells Translational Medicine 5:392–404. Jasseron C, Lebreton G, Cantrelle C, Legeai C, Leprince P, Flecher E, Sirinelli A, Bastien O, Dorent R. 2016. Impact of Heart Transplantation on Survival in Patients on Venoarterial Extracorporeal Membrane Oxygenation at Listing in France. Transplantation 100:1979–1987. Laguna-Fernandez A, Carracedo M, Jeanson G, Nagy E, Eriksson P, Caligiuri G, Franco-Cereceda A, Bäck M. 2016. Iron alters valvular interstitial cell function and is associated with calcification in aortic stenosis. European Heart Journal 37:3532–3535. Le Borgne M, Raju S, Zinselmeyer BH, Le VT, Li J, Wang Y, Miller MJ, Shaw AS. 2016. Real-Time Analysis of Calcium Signals during the Early Phase of T Cell Activation Using a Genetically Encoded Calcium Biosensor. Journal of Immunology 196:1471–1479. Nasr DM, Brinjikji W, Rouchaud A, Kadirvel R, Flemming KD, Kallmes DF. 2016. Imaging Characteristics of Growing and Ruptured Vertebrobasilar Non-Saccular and Dolichoectatic Aneurysms. Stroke 47:106–112. Nuzzo A, Castier Y, Corcos O. 2016. Superior mesenteric artery dissection does not necessarily mean acute mesenteric ischemia. American Journal of Emergency Medicine 34:2457. Pierot L, Costalat V, Moret J, Szikora I, Klisch J, Herbreteau D, Holtmannspötter M, Weber W, Januel A-C, Liebig T, Sychra V, Strasilla C, Cognard C, Bonafé A, Molyneux A, Byrne JV, Spelle L. 2016. Safety and efficacy of aneurysm treatment with WEB: results of the WEBCAST study. Journal of Neurosurgery 124:1250–1256. Pierot L, Spelle L, Molyneux A, Byrne J, Webcast, French Observatory I. 2016. Clinical and Anatomical Follow-up in Patients With Aneurysms Treated With the WEB Device: 1-Year Follow-up Report in the Cumulated Population of 2 Prospective, Multicenter Series (WEBCAST and French Observatory). Neurosurgery 78:133–141. Weber C, Shantsila E, Hristov M, Caligiuri G, Guzik T, Heine GH, Hoefer IE, Monaco C, Peter K, Rainger E, Siegbahn A, Steffens S, Wojta J, Lip GYH. 2016. Role and analysis of monocyte subsets in cardiovascular disease. Joint consensus document of the European Society of Cardiology (ESC) Working Groups “Atherosclerosis & Vascular Biology” and “Thrombosis.” Thrombosis and Haemostasis 116:626–637. de Carvalho FM, Caroff J, Pereira Dos Santos Neto E, Chalumeau V, Abdel Khalek H, Neki H, Saliou G, Rouchaud A, Moret J, Spelle L. 2016. Flow changes in the posterior communicating artery related to flow-diverter stents in carotid siphon aneurysms. Journal of Neurointerventional Surgery. Caroff J, Mihalea C, Ikka L, Moret J, Spelle L. 2015. Interobserver variability in the assessment of aneurysm occlusion with the WEB aneurysm embolisation system. Journal of Neurointerventional Surgery. Clement M, Charles N, Escoubet B, Guedj K, Chauveheid M-P, Caligiuri G, Nicoletti A, Papo T, Sacre K. 2015. CD4+CXCR3+ T cells and plasmacytoid dendritic cells drive accelerated atherosclerosis associated with systemic lupus erythematosus. Journal of Autoimmunity 63:59–67. Clement M, Fornasa G, Loyau S, Morvan M, Andreata F, Guedj K, Khallou-Laschet J, Larghi P, Le Roux D, Bismuth G, Chiocchia G, Hivroz C, Newman DK, Nicoletti A, Caligiuri G. 2015. Upholding the T cell immune-regulatory function of CD31 inhibits the formation of T/B immunological synapses in vitro and attenuates the development of experimental autoimmune arthritis in vivo. Journal of Autoimmunity 56:23–33. Clement M, Guedj K, Andreata F, Morvan M, Bey L, Khallou-Laschet J, Gaston A-T, Delbosc S, Alsac J-M, Bruneval P, Deschildre C, Le Borgne M, Castier Y, Kim H-J, Cantor H, Michel J-B, Caligiuri G, Nicoletti A. 2015. Control of the T follicular helper-germinal center B-cell axis by CD8+ regulatory T cells limits atherosclerosis and tertiary lymphoid organ development. Circulation 131:560–570. Corbett MA, Dudding-Byth T, Crock PA, Botta E, Christie LM, Nardo T, Caligiuri G, Hobson L, Boyle J, Mansour A, Friend KL, Crawford J, Jackson G, Vandeleur L, Hackett A, Tarpey P, Stratton MR, Turner G, Gécz J, Field M. 2015. A novel X-linked trichothiodystrophy associated with a nonsense mutation in RNF113A. Journal of Medical Genetics 52:269–274. Dumitrescu G, Dahan K, Treton X, Corcos O, Bouhnik Y, Stefanescu C. 2015. Nephrotic syndrome after infliximab treatment in a patient with ulcerative colitis. Journal of gastrointestinal and liver diseases 24:249–251. Hoefer IE, Steffens S, Ala-Korpela M, Bäck M, Badimon L, Bochaton-Piallat M-L, Boulanger CM, Caligiuri G, Dimmeler S, Egido J, Evans PC, Guzik T, Kwak BR, Landmesser U, Mayr M, Monaco C, Pasterkamp G, Tuñón J, Weber C, Atherosclerosis ESCWG, Vascular B. 2015. Novel methodologies for biomarker discovery in atherosclerosis. European Heart Journal 36:2635–2642. Le Borgne M, Caligiuri G, Nicoletti A. 2015. 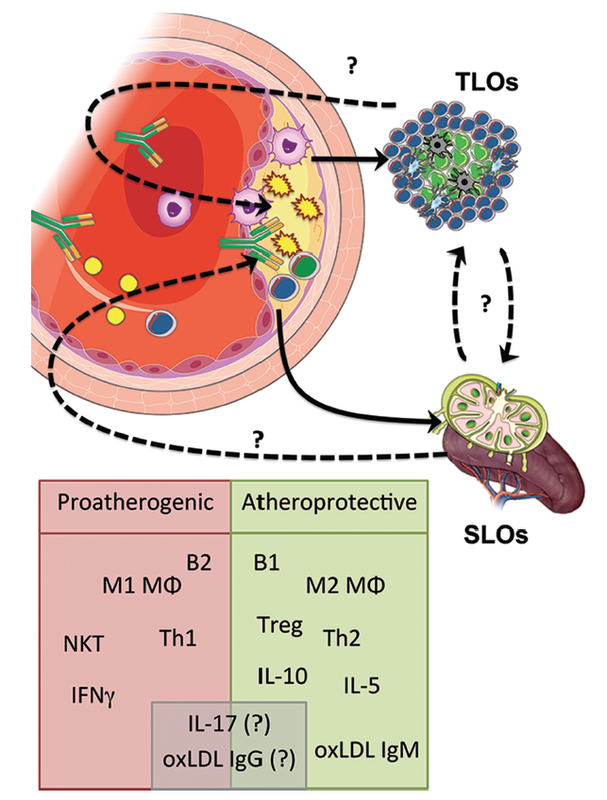 Once Upon a Time: The Adaptive Immune Response in Atherosclerosis–a Fairy Tale No More. Molecular Medicine 21 Suppl 1:S13–18. Neki H, Caroff J, Jittapiromsak P, Benachour N, Mihalea C, Ikka L, Moret J, Spelle L. 2015. Patency of the anterior choroidal artery covered with a flow-diverter stent. Journal of Neurosurgery 123:1540–1545. Norata GD, Caligiuri G, Chavakis T, Matarese G, Netea MG, Nicoletti A, O’Neill LAJ, Marelli-Berg FM. 2015. The Cellular and Molecular Basis of Translational Immunometabolism. Immunity 43:421–434. Roussel A, Castier Y, Nuzzo A, Pellenc Q, Sibert A, Panis Y, Bouhnik Y, Corcos O. 2015. Revascularization of acute mesenteric ischemia after creation of a dedicated multidisciplinary center. Journal of Vascular Surgery 62:1251–1256. Bachelet-Violette L, Silva AKA, Maire M, Michel A, Brinza O, Ou P, Ollivier V, Nicoletti A, Wilhelm C, Letourneur D, Ménager C, Chaubet F. 2014. Strong and specific interaction of ultra small superparamagnetic iron oxide nanoparticles and human activated platelets mediated by fucoidan coating. RSC Adv 4:4864–4871. Billiauws L, Corcos O, Joly F. 2014. Dysmotility disorders: a nutritional approach. Current Opinion in Clinical Nutrition and Metabolic Care 17:483–488. Caroff J, Jittapiromsak P, Ruijters D, Benachour N, Mihalea C, Rouchaud A, Neki H, Ikka L, Moret J, Spelle L. 2014. Use of time attenuation curves to determine steady-state characteristics before C-arm CT measurement of cerebral blood volume. Neuroradiology 56:245–249. Caroff J, Mihalea C, Dargento F, Neki H, Ikka L, Benachour N, Moret J, Spelle L. 2014. Woven Endobridge (WEB) Device for endovascular treatment of ruptured intracranial wide-neck aneurysms: a single-center experience. Neuroradiology 56:755–761. Clement M, Fornasa G, Guedj K, Ben Mkaddem S, Gaston A-T, Khallou-Laschet J, Morvan M, Nicoletti A, Caligiuri G. 2014. 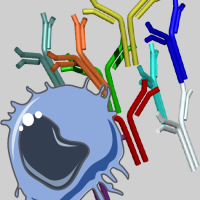 CD31 is a key coinhibitory receptor in the development of immunogenic dendritic cells. Proceedings of the National Academy of Sciences of the United States of America 111:E1101–1110. Dorent R, Cantrelle C, Jasseron C, Legeai C. 2014. [Heart transplantation in France: Current status]. Presse Medicale 43:813–822. Dutertre C-A, Clement M, Morvan M, Schäkel K, Castier Y, Alsac J-M, Michel J-B, Nicoletti A. 2014. Deciphering the stromal and hematopoietic cell network of the adventitia from non-aneurysmal and aneurysmal human aorta. PloS One 9:e89983. Elkrief L, Corcos O, Bruno O, Larroque B, Rautou P-E, Zekrini K, Bretagnol F, Joly F, Francoz C, Bondjemah V, Cazals-Hatem D, Boudaoud L, De Raucourt E, Panis Y, Goria O, Hillaire S, Valla D, Plessier A. 2014. Type 2 diabetes mellitus as a risk factor for intestinal resection in patients with superior mesenteric vein thrombosis. Liver International 34:1314–1321. Faye E, Corcos O, Lancelin F, Declèves X, Bergmann J-F, Joly F, Lloret-Linares C. 2014. Antidepressant agents in short bowel syndrome. Clinical Therapeutics 36:2029–2033.e3. Faye E, Drouet L, De Raucourt E, Green A, Bal-Dit-Sollier C, Boudaoud L, Corcos O, Bergmann J-F, Joly F, Lloret-Linares C. 2014. Absorption and efficacy of acetylsalicylic acid in patients with short bowel syndrome. Annals of Pharmacotherapy 48:705–710. Guedj K, Khallou-Laschet J, Clement M, Morvan M, Delbosc S, Gaston A-T, Andreata F, Castier Y, Deschildre C, Michel J-B, Caligiuri G, Nicoletti A. 2014. Inflammatory micro-environmental cues of human atherothrombotic arteries confer to vascular smooth muscle cells the capacity to trigger lymphoid neogenesis. PloS One 9:e116295. Guedj K, Khallou-Laschet J, Clement M, Morvan M, Gaston A-T, Fornasa G, Dai J, Gervais-Taurel M, Eberl G, Michel J-B, Caligiuri G, Nicoletti A. 2014. M1 macrophages act as LTβR-independent lymphoid tissue inducer cells during atherosclerosis-related lymphoid neogenesis. Cardiovascular Research 101:434–443. Kwak BR, Bäck M, Bochaton-Piallat M-L, Caligiuri G, Daemen MJAP, Davies PF, Hoefer IE, Holvoet P, Jo H, Krams R, Lehoux S, Monaco C, Steffens S, Virmani R, Weber C, Wentzel JJ, Evans PC. 2014. Biomechanical factors in atherosclerosis: mechanisms and clinical implications. European Heart Journal 35:3013–3020, 3020a–3020d. Michel J-B, Martin-Ventura JL, Nicoletti A, Ho-Tin-Noé B. 2014. Pathology of human plaque vulnerability: mechanisms and consequences of intraplaque haemorrhages. Atherosclerosis 234:311–319. Moreno J-A, Ortega-Gomez A, Rubio-Navarro A, Louedec L, Ho-Tin-Noé B, Caligiuri G, Nicoletti A, Levoye A, Plantier L, Meilhac O. 2014. High-density lipoproteins potentiate α1-antitrypsin therapy in elastase-induced pulmonary emphysema. American Journal of Respiratory Cell and Molecular Biology 51:536–549. Rouchaud A, Klein I, Amarenco P, Mazighi M, Pacchioni A, Torsello G, Reimers B, van Sambeek MRHM, Tielbeek AV, Teijink JAW, Cuypers PW. 2014. How should I treat a symptomatic post dissection carotid aneurysm? EuroIntervention 9:1121–1123. Rouchaud A, Pistocchi S, Blanc R, Engrand N, Bartolini B, Piotin M. 2014. Predictive value of flat-panel CT for haemorrhagic transformations in patients with acute stroke treated with thrombectomy. Journal of Neurointerventional Surgery 6:139–143. Spelle L, Liebig T. 2014. Letter to the editor. Neuroradiology Journal 27:369. Stehlik J, Stevenson LW, Edwards LB, Crespo-Leiro MG, Delgado JF, Dorent R, Frigerio M, Macdonald P, MacGowan GA, Nanni Costa A, Rogers JG, Shah AS, Taylor R, Venkateswaran RV, Mehra MR. 2014. Organ allocation around the world: insights from the ISHLT International Registry for Heart and Lung Transplantation. Journal of Heart and Lung Transplantation 33:975–984. Tran-Dinh A, Levoye A, Lambert G, Louedec L, Journé C, Meilhac O, Amarenco P. 2014. Low levels of low-density lipoprotein-C associated with proprotein convertase subtilisin kexin 9 inhibition do not increase the risk of hemorrhagic transformation. Stroke 45:3086–3088. Alsac J-M, Delbosc S, Rouer M, Journé C, Louedec L, Meilhac O, Michel J-B. 2013. Fucoidan interferes with Porphyromonas gingivalis-induced aneurysm enlargement by decreasing neutrophil activation. Journal of Vascular Surgery 57:796–805. Amiot A, Messing B, Corcos O, Panis Y, Joly F. 2013. Determinants of home parenteral nutrition dependence and survival of 268 patients with non-malignant short bowel syndrome. Clinical Nutrition 32:368–374. Augustin P, Alsalih G, Launey Y, Delbosc S, Louedec L, Ollivier V, Chau F, Montravers P, Duval X, Michel J-B, Meilhac O. 2013. Predominant role of host proteases in myocardial damage associated with infectious endocarditis induced by Enterococcus faecalis in a rat model. Infection and Immunity 81:1721–1729. Bao Dang Q, Lapergue B, Tran-Dinh A, Diallo D, Moreno J-A, Mazighi M, Romero IA, Weksler B, Michel J-B, Amarenco P, Meilhac O. 2013. High-density lipoproteins limit neutrophil-induced damage to the blood-brain barrier in vitro. Journal of Cerebral Blood Flow and Metabolism 33:575–582. Bäck M, Gasser TC, Michel J-B, Caligiuri G. 2013. Biomechanical factors in the biology of aortic wall and aortic valve diseases. Cardiovascular Research 99:232–241. Corcos O, Castier Y, Sibert A, Gaujoux S, Ronot M, Joly F, Paugam C, Bretagnol F, Abdel-Rehim M, Francis F, Bondjemah V, Ferron M, Zappa M, Amiot A, Stefanescu C, Leseche G, Marmuse J-P, Belghiti J, Ruszniewski P, Vilgrain V, Panis Y, Mantz J, Bouhnik Y. 2013. Effects of a multimodal management strategy for acute mesenteric ischemia on survival and intestinal failure. Clinical Gastroenterology and Hepatology 11:158–165.e2. Corcos O, Nuzzo A. 2013. Gastro-intestinal vascular emergencies. Bailliere’s Best Practice & Research: Clinical Gastroenterology 27:709–725. Delbosc S, Diallo D, Dejouvencel T, Lamiral Z, Louedec L, Martin-Ventura J-L, Rossignol P, Leseche G, Michel J-B, Meilhac O. 2013. Impaired high-density lipoprotein anti-oxidant capacity in human abdominal aortic aneurysm. Cardiovascular Research 100:307–315. Desilles J-P, Rouchaud A, Labreuche J, Meseguer E, Laissy J-P, Serfaty J-M, Lapergue B, Klein IF, Guidoux C, Cabrejo L, Sirimarco G, Lavallée PC, Schouman-Claeys E, Amarenco P, Mazighi M. 2013. Blood-brain barrier disruption is associated with increased mortality after endovascular therapy. Neurology 80:844–851. Faugeroux J, Nematalla H, Li W, Clement M, Robidel E, Frank M, Curis E, Ait-Oufella H, Caligiuri G, Nicoletti A, Hagege A, Messas E, Bruneval P, Jeunemaitre X, Bergaya S. 2013. Angiotensin II promotes thoracic aortic dissections and ruptures in Col3a1 haploinsufficient mice. Hypertension 62:203–8. Jittapiromsak P, Ikka L, Benachour N, Spelle L, Moret J. 2013. Transvenous balloon-assisted transarterial Onyx embolization of transverse-sigmoid dural arteriovenous malformation. Neuroradiology 55:345–350. Jondeau G, Arnoult F, Caligiuri G, Phan G, Charles J, Morgant C, Aumont MC. 2013. Practical management of heart failure with preserved ejection fraction. A modest proposal. Archives of Cardiovascular Diseases 106:345–348. Lafarge M, Mordant P, Thabut G, Brouchet L, Falcoz P-E, Haloun A, Le Pimpec-Barthes F, Maury J-M, Reynaud-Gaubert M, Saint-Raymond C, Sage E, Stern M, Thomas P, Castier Y, Dorent R, Mal H. 2013. Experience of extracorporeal membrane oxygenation as a bridge to lung transplantation in France. Journal of Heart and Lung Transplantation 32:905–913. Lapergue B, Dang BQ, Desilles J-P, Ortiz-Munoz G, Delbosc S, Loyau S, Louedec L, Couraud P-O, Mazighi M, Michel J-B, Meilhac O, Amarenco P. 2013. High-density lipoprotein-based therapy reduces the hemorrhagic complications associated with tissue plasminogen activator treatment in experimental stroke. Stroke 44:699–707. Layec S, Beyer L, Corcos O, Alves A, Dray X, Amiot A, Stefanescu C, Coffin B, Bretagnol F, Bouhnik Y, Messing B, Panis Y, Kapel N, Joly F. 2013. Increased intestinal absorption by segmental reversal of the small bowel in adult patients with short-bowel syndrome: a case-control study. American Journal of Clinical Nutrition 97:100–108. Le Borgne M, Filbert EL, Shaw AS. 2013. Kinase suppressor of Ras 1 is not required for the generation of regulatory and memory T cells. PloS One 8:e57137. Le Borgne M, Shaw AS. 2013. Immunology. Do T cells have a cilium? Science 342:1177–1178. Marelli-Berg FM, Clement M, Mauro C, Caligiuri G. 2013. An immunologist’s guide to CD31 function in T-cells. Journal of Cell Science 126:2343–2352. Mayeur C, Gratadoux J-J, Bridonneau C, Chegdani F, Larroque B, Kapel N, Corcos O, Thomas M, Joly F. 2013. Faecal D/L lactate ratio is a metabolic signature of microbiota imbalance in patients with short bowel syndrome. PloS One 8:e54335. Moynier F, Fujii T, Shaw AS, Le Borgne M. 2013. Heterogeneous distribution of natural zinc isotopes in mice. Metallomics: Integrated Biometal Science 5:693–699. Nicoletti A, Khallou-Laschet J, Guedj K, Clement M, Gaston A-T, Morvan M, Dutertre C-A, Michel J-B, Thaunat O, Caligiuri G. 2013. L19. Lymphoid neogenesis in vascular chronic inflammation. Presse Medicale 42:558–560. Olivot J-M, Mosimann PJ, Labreuche J, Inoue M, Meseguer E, Desilles J-P, Rouchaud A, Klein IF, Straka M, Bammer R, Mlynash M, Amarenco P, Albers GW, Mazighi M. 2013. Impact of diffusion-weighted imaging lesion volume on the success of endovascular reperfusion therapy. Stroke 44:2205–2211. Rouchaud A, Journé C, Louedec L, Ollivier V, Derkaoui M, Michel J-B, Mazighi M. 2013. Autologous mesenchymal stem cell endografting in experimental cerebrovascular aneurysms. Neuroradiology 55:741–749. Rouchaud A, Saleme S, Gory B, Ayoub D, Mounayer C. 2013. Endovascular exclusion of the anterior communicating artery with flow-diverter stents as an emergency treatment for blister-like intracranial aneurysms. A case report. Interventional Neuroradiology 19:471–478. Rouer M, Meilhac O, Delbosc S, Louedec L, Pavon-Djavid G, Cross J, Legagneux J, Bouilliant-Linet M, Michel J-B, Alsac J-M. 2013. A new murine model of endovascular aortic aneurysm repair. Journal of Visualized Experiments e50740. Salmon B, Bardet C, Khaddam M, Naji J, Coyac BR, Baroukh B, Letourneur F, Lesieur J, Decup F, Le Denmat D, Nicoletti A, Poliard A, Rowe PS, Huet E, Vital SO, Linglart A, McKee MD, Chaussain C. 2013. MEPE-derived ASARM peptide inhibits odontogenic differentiation of dental pulp stem cells and impairs mineralization in tooth models of X-linked hypophosphatemia. PLoS One 8:e56749. Zouggari Y, Ait-Oufella H, Bonnin P, Simon T, Sage AP, Guérin C, Vilar J, Caligiuri G, Tsiantoulas D, Laurans L, Dumeau E, Kotti S, Bruneval P, Charo IF, Binder CJ, Danchin N, Tedgui A, Tedder TF, Silvestre J-S, Mallat Z. 2013. B lymphocytes trigger monocyte mobilization and impair heart function after acute myocardial infarction. Nature Medicine 19:1273–1280. Al-Salih G, Al-Attar N, Delbosc S, Louedec L, Corvazier E, Loyau S, Michel J-B, Pidard D, Duval X, Meilhac O. 2012. Role of vegetation-associated protease activity in valve destruction in human infective endocarditis. PloS One 7:e45695. Beyer-Berjot L, Joly F, Maggiori L, Corcos O, Bouhnik Y, Bretagnol F, Panis Y. 2012. Segmental reversal of the small bowel can end permanent parenteral nutrition dependency: an experience of 38 adults with short bowel syndrome. Annals of Surgery 256:739–744. Boussaud V, Mal H, Trinquart L, Thabut G, Danner-Boucher I, Dromer C, Raymond CS, Reynaud-Gaubert M, Kessler R, Philit F, Dorent R, Stern M. 2012. One-year experience with high-emergency lung transplantation in France. Transplantation 93:1058–1063. Filbert EL, Le Borgne M, Lin J, Heuser JE, Shaw AS. 2012. Stathmin regulates microtubule dynamics and microtubule organizing center polarization in activated T cells. Journal of Immunology 188:5421–5427. Fornasa G, Clement M, Groyer E, Gaston A-T, Khallou-Laschet J, Morvan M, Guedj K, Kaveri SV, Tedgui A, Michel J-B, Nicoletti A, Caligiuri G. 2012. A CD31-derived peptide prevents angiotensin II-induced atherosclerosis progression and aneurysm formation. Cardiovascular Research 94:30–37. Lacolley P, Regnault V, Nicoletti A, Li Z, Michel J-B. 2012. The vascular smooth muscle cell in arterial pathology: a cell that can take on multiple roles. Cardiovascular Research 95:194–204. Le Borgne M, Shaw AS. 2012. SAP signaling: a dual mechanism of action. Immunity 36:899–901. Mazighi M, Meseguer E, Labreuche J, Serfaty J-M, Laissy J-P, Lavallée PC, Cabrejo L, Guidoux C, Lapergue B, Klein IF, Olivot J-M, Rouchaud A, Desilles J-P, Schouman-Claeys E, Amarenco P. 2012. Dramatic recovery in acute ischemic stroke is associated with arterial recanalization grade and speed. Stroke 43:2998–3002. Meseguer E, Mazighi M, Lapergue B, Labreuche J, Sirimarco G, Gonzalez-Valcarcel J, Lavallée PC, Cabrejo L, Guidoux C, Klein IF, Olivot J-M, Rouchaud A, Desilles J-P, Amarenco P. 2012. Outcomes after thrombolysis in AIS according to prior statin use: a registry and review. Neurology 79:1817–1823. Messing B, Joly F, Corcos O. 2012. [Short bowel adaptation]. Bulletin De l’Academie Nationale De Medecine 196:373–374. Michel J-B, Delbosc S, Ho-Tin-Noé B, Leseche G, Nicoletti A, Meilhac O, Martin-Ventura JL. 2012. From intraplaque haemorrhages to plaque vulnerability: biological consequences of intraplaque haemorrhages. Journal of Cardiovascular Medicine 13:628–634. Moreno JA, Ortega-Gómez A, Delbosc S, Beaufort N, Sorbets E, Louedec L, Esposito-Farèse M, Tubach F, Nicoletti A, Steg PG, Michel J-B, Feldman L, Meilhac O. 2012. In vitro and in vivo evidence for the role of elastase shedding of CD163 in human atherothrombosis. European Heart Journal 33:252–263. Nicoletti A, Caligiuri G, Ho-Tin-Noé B, Michel J-B. 2012. [Should we block interleukin-1 in atherothrombosis?]. Medecine Sciences 28:580–582. Olland A, Santelmo N, Orsini B, Falcoz P-E, Dorent R, Mal H, Thomas P, Massard G. 2012. Twinned single-lung transplantation: a privileged model for the study of recipient-dependent factors of outcome. European Journal of Cardio-Thoracic Surgery 41:1357–1364; discussion 1364–1365. Rangé H, Léger T, Huchon C, Ciangura C, Diallo D, Poitou C, Meilhac O, Bouchard P, Chaussain C. 2012. Salivary proteome modifications associated with periodontitis in obese patients. Journal of Clinical Periodontology 39:799–806. Thaunat O, Graff-Dubois S, Fabien N, Duthey A, Attuil-Audenis V, Nicoletti A, Patey N, Morelon E. 2012. A stepwise breakdown of B-cell tolerance occurs within renal allografts during chronic rejection. Kidney International 81:207–219. Wolff M, Dorent R, Veyradier A, Deschamps L, Raffoul R. 2012. Heart transplantation for acute cardiac failure caused by thrombotic thrombocytopenic purpura (TTP). Intensive Care Medicine 38:1908–1910.